There was another gorgeous sunset in Venice last night, but the show was not over after that. 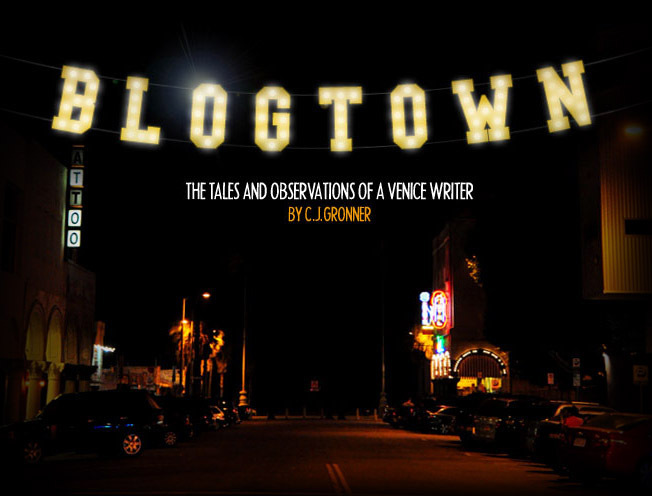 It was on to Beyond Baroque for Gerry Fialka's Laughtears annual night of Venice cinema. 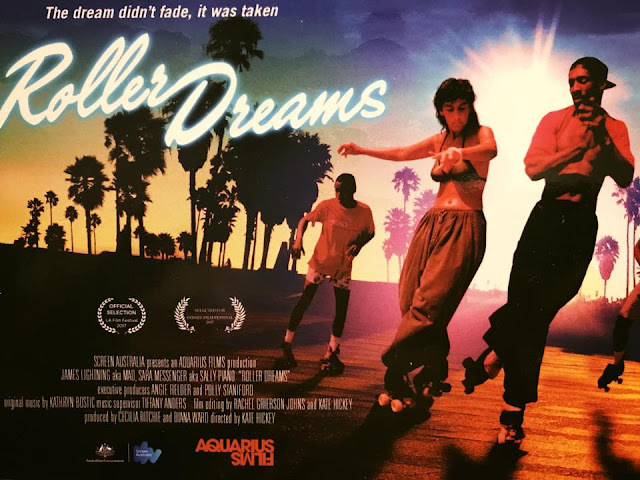 The main event was a screening of the wonderful documentary, Roller Dreams, which tells the story of the rise (and decline) of roller dancing on the Venice Boardwalk. The 15th annual cinematic evening of works featuring Venice had a packed house for the event, which began with live music from Sara Messenger (a star of Roller Dreams) that I was still looking at the sunset for, and then a film from Taylor Cox called PULL, about artists and people in Venice listening to their inner voices to continue to be creative. That one was a nice intro to the rest of the night, especially as Fialka is one of the main people being interviewed within the film. It's great to see filmmakers continuing to be inspired by our Venice. 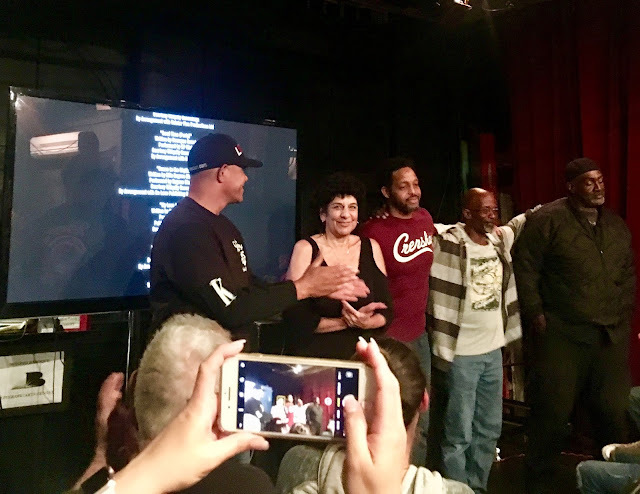 It was was standing room only in the Beyond Baroque auditorium by the time Roller Dreams screened, with locals and roller skater fans crammed into the room to witness a piece of Venice history on the screen. The 80's were all about roller disco, and Venice was at its very heart. The skaters were rock stars down at the Boardwalk, and thousands of bystanders would surround them to cheer them on. You meet characters like Sally, Duval (who dressed up like Superman in a cape - RIP), Jimmy, Terrell, and the mean mug of "Mad", who was the undisputed ringleader of it all. Times change, and the roller dancing scene was eclipsed by the skateboarding one, but that's not the only reason why things changed down there at the Boardwalk. We've been living with the gentrification for years now, which is a big part of this story, along with the issue of race. 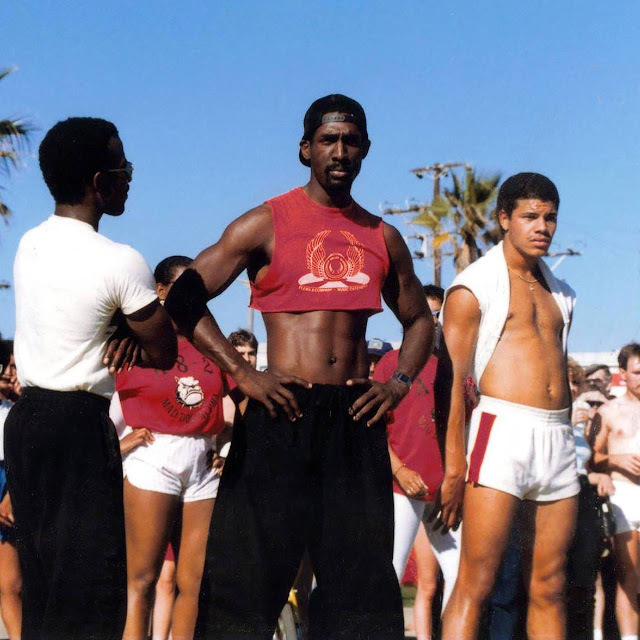 The vast majority of the awesome roller dancers in Venice were African American, and once there got to be thousands of fans packing in to watch them, the police weren't comfortable and simply put an end to it. The concrete was bulldozed up, the loud music (often Prince) they danced to was forbidden, and that was pretty much that. Except it wasn't. All of the roller dancers featured in Roller Dreams were in the house for the screening last night at Beyond Baroque - Mad is still Mad. It was extra emotional when they all stood up at the end, because we all now knew the history, their importance to our community and to the rollerskating world, as well as a glimpse into their hearts, and what all of this meant to them. Director Kate Hickey's film was inspired by the Aussie cult film Xanadu, starring Olivia Newton-John, which began Hickey's love for roller dancing. Once she moved to Venice and learned that the pioneers of the sport were all right here (and shockingly never featured in the white-washed roller disco films of the era), she knew she had to tell their stories. She has done so with a loving and respectful tone that shares the joy and pain of the roller dancer's world. The Venice Beach Sk8 Dancers are still down there every weekend, as entertaining and groovy as ever. Now that I know their stories, I just want to go down and watch them all the time. Or better yet, learn from them, as they all said they welcome everyone and love to teach people new tricks (and rollerskating is making a big comeback! Way cuter than rollerblades). They also need our help. The Skate Dance Plaza needs a facelift (and to be even and not crumbling), and they have a Go Fund Me set up to improve the conditions so they may continue offering fun and entertainment to the global village that passes by in the thousands each weekend. They need $20,000 (and the City isn't helping - surprise). We can do this for them. They've given the world so much for decades ... we can help them get funky for decades more. Please support our Roller Dreamers! Go Fund the Re-Paving of Venice Skate Dance Plaza! Thanks to Gerry Fialka and Beyond Baroque for a great night of Venice cinema! Thanks for the nice writeup! This film is great...many of us have observed this scene for years, but knowing the story behind it, their struggles and histories, has given it a whole new appreciation for me! The 2019 L.A. Art Show - Massive! 2019 ... Let's Do This!